The man was smart and he didn’t mind killing people. Welcome to the big leagues, Davenport. Thanks to some very influential people whose lives he saved, Lucas is no longer working for the Minnesota Bureau of Criminal Apprehension, but for the U.S. Marshals Service, and with unusual scope. He gets to pick his own cases, whatever they are, wherever they lead him. And where they’ve led him this time is into real trouble. A Biloxi, Mississippi, drug-cartel counting house gets robbed, and suitcases full of cash disappear, leaving behind five bodies, including that of a six-year-old girl. Davenport takes the case, which quickly spirals out of control, as cartel assassins, including a torturer known as the “Queen of home-improvement tools” compete with Davenport to find the Dixie Hicks shooters who knocked over the counting house. Things get ugly real fast, and neither the cartel killers nor the holdup men give a damn about whose lives Davenport might have saved; to them, he’s just another large target. After the events in Gathering Prey, Lucas Davenport finds himself in a very unusual situation — no longer employed by the Minnesota BCA. His friend the governor is just cranking up a presidential campaign, though, and he invites Lucas to come along as part of his campaign staff. “Should be fun!” he says, and it kind of is — until they find they have a shadow: an armed man intent on killing the governor… and anyone who gets in the way. Can’t wait to read this. If you haven’t tried the Prey series, yet, I highly recommend it. 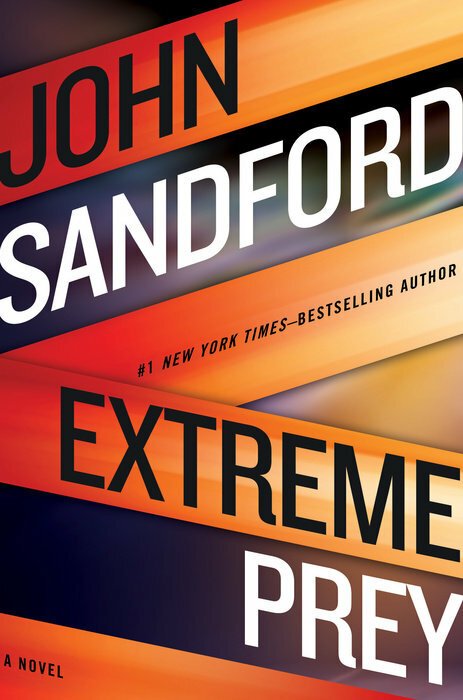 John Sandford is easily one of my all-time favourite authors.